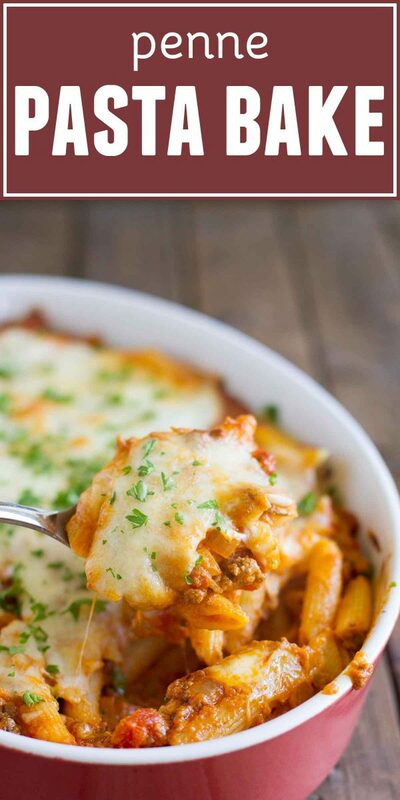 Pure comfort food, this Penne Pasta Bake has a meaty, creamy sauce and lots and lots of cheese. 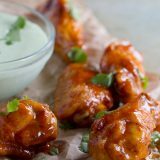 It is perfect for a busy night, and is perfect for feeding a crowd. As a food blogger, it’s sometimes embarrassing to admit that my kids aren’t the most adventurous eaters. And by that, I mean they are picky. Well, I shouldn’t include them all – Camden will pretty much eat anything I put in front of him. That kid can eat. In fact – this meal? I think he ate 3 servings. More than I did. More than his dad did. Definitely more than his brother and sister. But I’d say it’s pretty impressive when a child can out eat his mom and dad. We still struggle most nights with his big brother. I promised myself before I became a mom that I wouldn’t become a short order cook. But there are a few things that he will eat almost every time. Homemade pizza. Meatballs. Sometimes tacos. And pasta. It’s a good thing that I like pasta too, because it becomes my go-to quite often these days. But really – what’s not to love (for the whole family) in this dish? A meaty, creamy red sauce, pasta, and lots and lots of cheese. 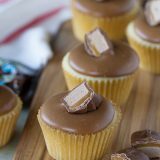 This is comfort food that I will totally get behind any day of the week. You could technically use any pasta you want here, but I find that a short cut pasta works perfectly. I love penne because it becomes coated by the sauce so well. Plus, my kids like the best, so that is always a deciding factor! 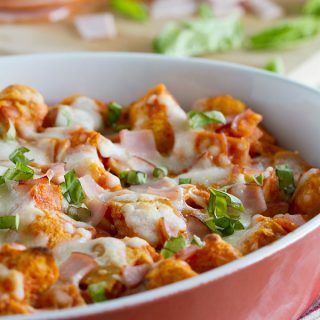 You can use shredded Provolone if you can find it, but I actually really like the slices of cheese in this recipe. 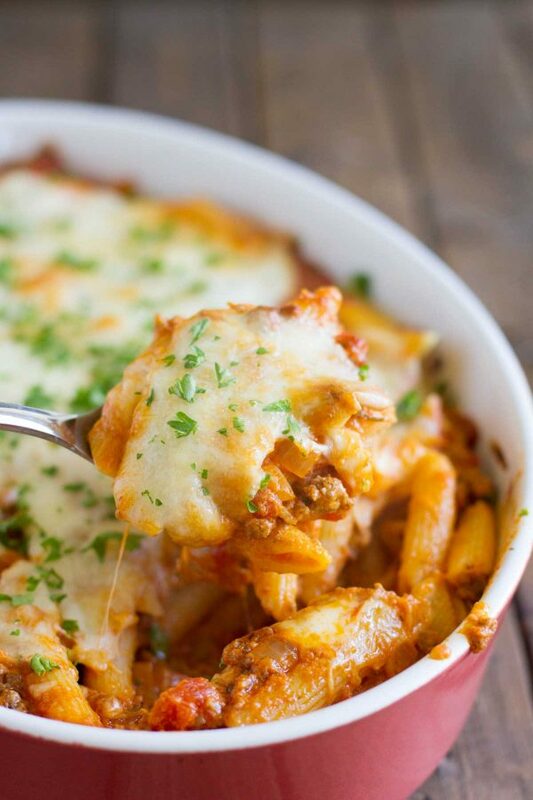 This Penne Pasta Bake makes great leftovers! 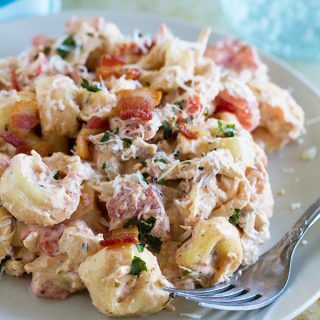 You can make this pasta bake ahead of time. Make it up until right before you bake it. Cover and refrigerate, then let it come to room temperature for about 30 minutes before baking it. You may need to add a few minutes to the baking time. You will know when it’s ready when the cheese is melted and bubbling. You need a large skillet, and this is a great nonstick option. I also always love using a good cast iron skillet as well. A good pasta pot is a great investment for your kitchen if you love making pasta. You’ll also need a 2 quart baking dish for baking the pasta. Meanwhile, in a large skillet, brown the ground beef. Add the onion and cook until softened. Add the spaghetti sauce and allow to simmer for 15 minutes. Stir in the sour cream. Add the drained pasta and stir to coat. Preheat the oven to 350F. Spray a 2 quart baking dish with nonstick cooking spray. Pour half of the pasta into the baking dish. Top with half of the Provolone and half of the Mozzarella. Pour the remaining pasta on top and top with the remaining Provolone and Mozzarella, and sprinkle the Parmesan on top. Bake until the cheese is melted and bubbly, about 30 minutes. Sprinkle with chopped parsley before serving. I can see why this dish pleases everyone – it looks great!! 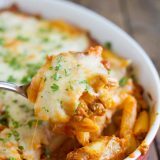 Love how easy this penne is! AND all that cheeseeeee…I would do anything for that cheese! Please re-consider being a short order cook for your son. My Mom would have been but dad forbid it and to this day there are foods I was forced to eat that I still HATE!! I would insist that he try everything that is put in front of him but if he REALLY doesn’t like it make a grilled cheese on ww bread and some tomato soup. Make sure he takes a vitamin supplement. Continue to offer him new tasty things that he MUST taste but then give him the same thing (grilled cheese etc) every time and eventually he may start eating other things as grilled cheese will cease to thrill him. Worth a try. Are kids sound like opposites. Grace and Eden are fantastic eaters, but Christian…oh my! That kid pushes us to our limits at any meal time. Last night, he wouldn’t even touch our dinner until he had Josh’s fork. And then, happy as a clam picking up pieces of enchilada and the heavens rejoiced and the angels sung because there wasn’t anymore screaming at our table, lol! 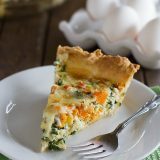 What a great recipe for a go to dish. It’s funny, our 11 month old eats more than our 3 year old. 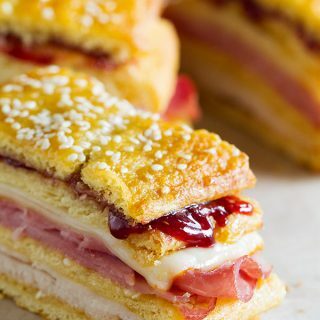 I think you’re striking the right balance with this dish by offering something that you know your children will like, but at the same time something your whole family can eat and enjoy. We also eat as a family and will not make something additional for just the 3 year old. It just simply cannot be done. That being said, we don’t require her to eat anything. We fill up her plate with both things that we know she will eat and like and some new things. If she tries the new things great. If she only eats the things we know she likes, that’s fine too. I hate to make dinner time a struggle by requiring a bite of something. Everyone ends up the loser. However, if she finishes all of her peas and wants more before trying other things I say that I’m happy to give her more peas, but she needs to try a bite of “X”. She usually does and then she gets more peas. But, if she’d rather not have the bite then that’s fine too. But, I’m not making another meal in addition to the one I already did. This is exactly what we do! I always have at least 3 choices on their plate, (what I made for dinner plus side dishes) so there is always *something* there that they will eat. I love pasta especially when it’s loaded with meat and cheese cheese cheese and more cheese. I feel the same way. I struggle everyday with two little picky eaters too, but I know they would LOVE this! My picky eater son is slowly branching out to new things, but it’s been 8 years of hard work. Can’t beat a recipe that makes the whole crew happy! I wish my face was living inside that right now. Looks so good, Deborah! 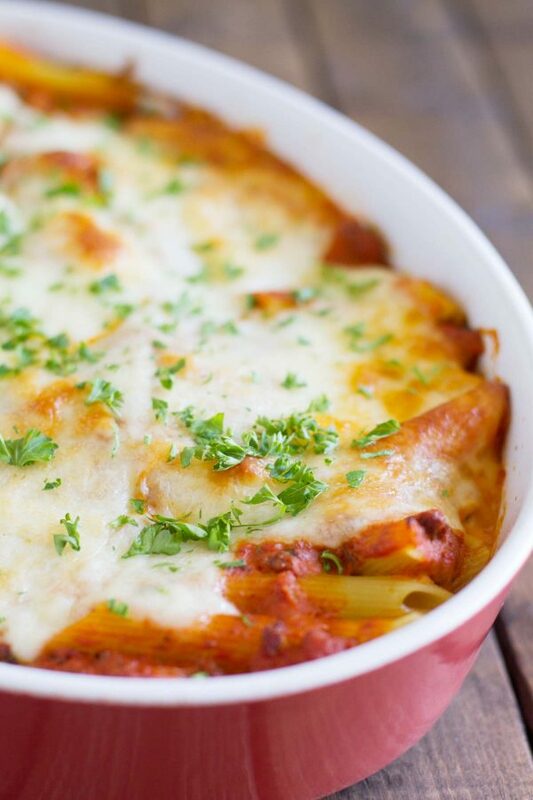 I love baked pasta dishes because they are so easy and absolutely delicious! 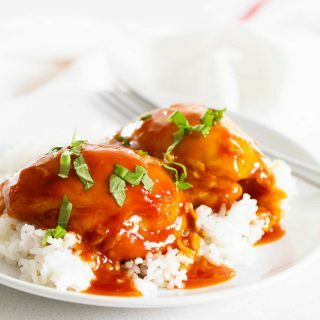 I want this for dinner!! Holy cheesy, mouthwatering goodness! I want all of that on my plate, like, right now. 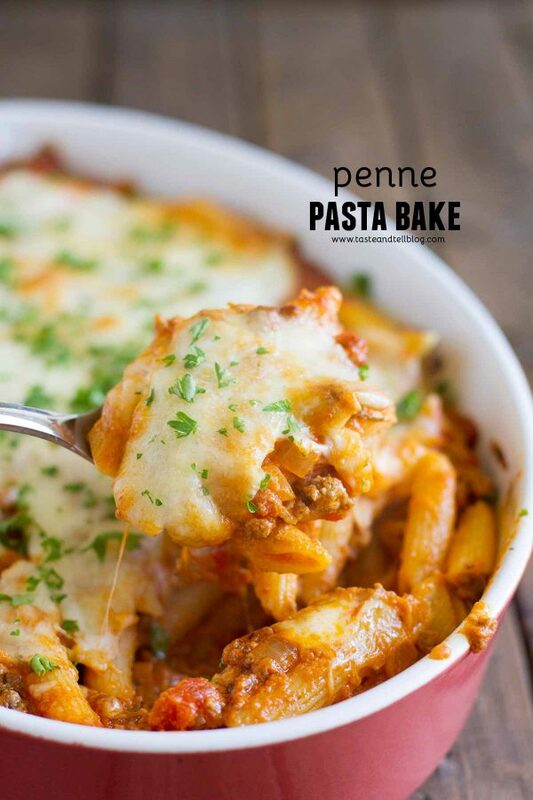 I can definitely see this baked penne being a major crowd pleaser! Heya hi..wot cn v use instead of beef.. If i hv make it for a vegetarian person..
You could just leave the meat out to make it vegetarian. I definitely don’t make them eat everything on their plates. 🙂 But if I were only to make them what they would eat, I’d be making 3 different dinners each night, or just serving up chicken nuggets at every meal haha. 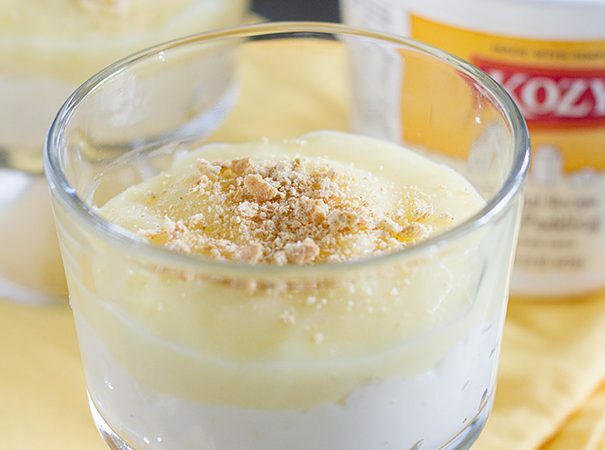 That’s why I love this recipe – it’s one of the few that all 3 kids will eat! 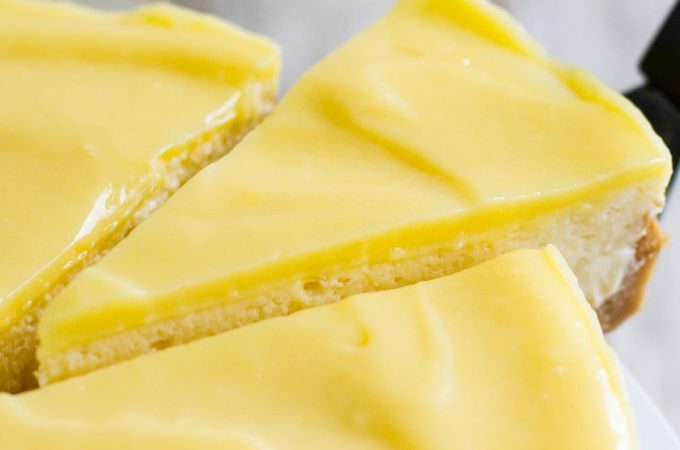 Does anyone know if this can be made ahead of time and put in the freezer? I haven’t tried it, but I would guess that it would work well as a freezer meal. Let me know if you do try it! This looks super tasty. Thanks for sharing the recipe. Wheres the recipe? I’m going crazy looking for it, help!! !